©2015 Wall Hanging: 33” x 43”, Throw: 58” x 68”, and Queen Size: 83” x 98”. Clara Barton, a nurse who treated injured soldiers on Civil War battlefields, later established the American Red Cross. 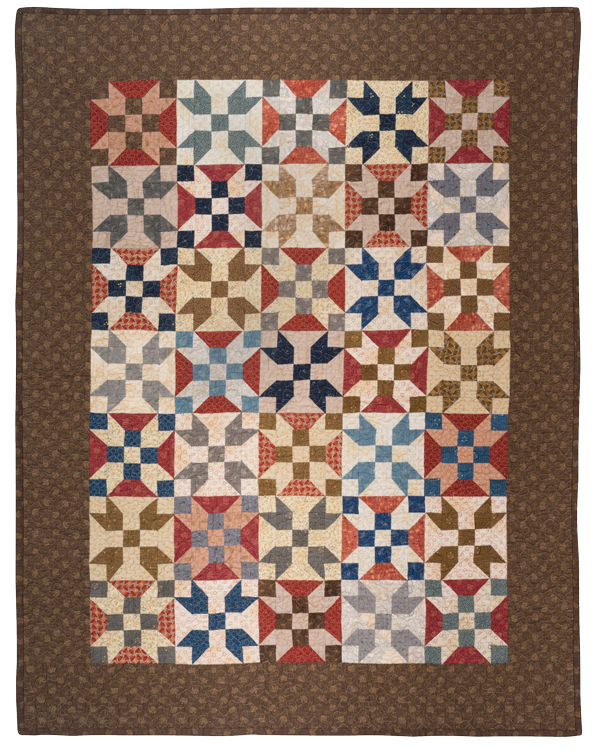 Her efforts are symbolized in the alternating red blocks of this quilt made of 5” blocks.